Is It Too Late to Prevent Heating Repairs? | Sound Heating & Air Conditioning Inc.
Is It Too Late to Prevent Heating Repairs? Just like that, and it’s already the new year. That means we’re right in the middle of winter. We sure hope your heater has served you well so far this season, and that it’s operating as efficiently as it can be, saving you money on your energy bills. Of course, this is more likely if you had your system maintained before winter began. What’s that? You didn’t? Hey, don’t worry—we have some good news. It’s not too late! It’s actually much more important that you have maintenance done routinely than it is you have it done before winter starts (although of course, it’s typically more convenient for scheduling when you do it in fall). There’s this common belief that maintenance is something that “some” homeowners get—you know, the ones that have a budget for it. The truth is you can’t afford to not have heating maintenance done! This will ensure that you have a trained and experienced professional thoroughly inspect your heater, make adjustments, and clean it properly. A Decline in Heating Efficiency: By keeping your heater in the best shape possible, you’ll reduce your energy costs by as much as 25%! Letting your system wear down and accumulate dust and debris, however, will have the opposite effect—causing a rise in heating costs each year, until eventually you’re paying far more than you should be to keep your home comfortable in the winter. Reduced Service Life: Your heater is an investment in the long-term comfort of your living space. But a heater that doesn’t receive routine maintenance won’t be able to last as long, and therefore will not usually last beyond its warranty. In fact, skipping professional maintenance can void your system warranty! Unsafe Operation: Is your heater powered by natural gas? The good news is, today’s gas-powered heaters are built with your safety in mind, and you rarely need to worry about a newer system breaking down to the point you have a gas leak. However, you can help ensure this is the case and that you are doing everything in your power to prevent combustion hazards, electrical fires, and carbon monoxide exposure. Frequent Repair Needs: When you’re consistent with your heating maintenance appointments, you can count on eliminating up to 85% of the repairs any system may need during its lifespan! 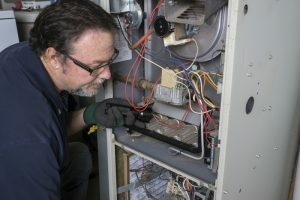 Without maintenance, you may not even be aware of small, seemingly minor heater repair needs until they’ve already grown into huge emergencies, and potentially even a premature breakdown. Higher Risk of a Sudden Breakdown: As we just mentioned, maintenance can help you avoid a premature breakdown. Actually, it can help keep your efficiency left at 95% of its original efficiency and extend the lifespan of the heater in the process. Want to learn more? To discover what’s included in our heating maintenance in Tacoma, WA, contact us today!